Join us for a evening of celebration! Let us show you what we have been up to all year! Meet our contractors, our new coordinator, our board of directors, and all the faces that keep the LFI growing. Grab a bite, mix and mingle. Bring one pantry item (jams, salsa, pickles, etc.) and a lucky winner will head home with a full pantry. 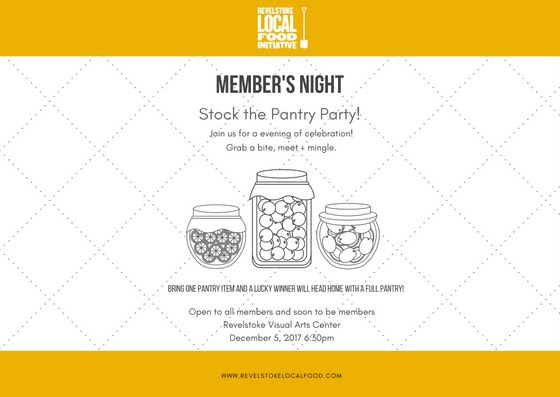 Open to all members and soon to be members, the more the merrier!